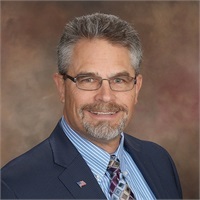 Thomas Thorson RFC®, ChFC® | Thorson Financial Estate Management, Inc.
Thomas K. Thorson, RFC®, ChFC® is CEO and President of Thorson Financial Estate Management, Inc. He has conducted over 250, well attended seminars tailored to the unique needs of pre-retirees and retirees. Tom, a graduate of Fresno State University, has devoted over 30 years of his successful financial career to providing retirement income strategies to those in the local area. He currently helps clients who have worked for PG&E, Doctor’s Hospital, City of Modesto, AT&T, Modesto City Schools, and Memorial Hospital, just to name a few. He belongs to the National Association of Insurance and Financial Advisors and is a member of the International Association of Registered Financial Consultants. He was also a host of the Saturday morning radio show, “Lifetime Income Solutions,” on KFIV 1360. Additionally, Tom is the President of the Modesto Chapter of the American Financial Education Alliance (AFEA). It is his pleasure to serve the local communities and share information on how AFEA is working to provide people of all walks of life information, education and experience about enhancing how they understand and manage their finances. As an IRS approved, 501C3, non-profit organization, our mission is to empower Americans to take control of their finances by providing local communities with unbiased financial education. We will be holding classes and conducting educational events throughout the area and invite you join us by visiting https://myafea.org/chapters/modestoca. He holds the Series 7: FINRA General Securities Representative, Series 63: NASAA Uniform Securities Agent State Law Examination, Series 65: NASAA Uniform Investment Advisor Law Examination and is a licensed insurance agent in the state of California (CA License #0712011). Tom believes strongly in continuing education and always staying current in tax laws and the newest developments in estate planning strategies. Over the years he has acquired two professional designations; RFC®, Registered Financial Consultant and ChFC®, Chartered Financial Consultant earned through the American College. Born and raised in the central valley, he and his wife, Teri, have made a home for themselves in Modesto for the past 33 years and together they raised two children. Tom and Teri have a son, who is currently serving in the Marine Corp (along with a daughter-in-law, two grandsons and a granddaughter), and a daughter, who is a full-time teacher. For many years, the couple has been active in their church. Tom enjoys working with metal fabrication as a hobby such as wrought iron trellises, metal furniture, and handy man projects his wife might assign to him. Securities America is not affiliated, endorsed, or retained by any of the companies mentioned herein.